Words & Photographs by Daphne Potts. 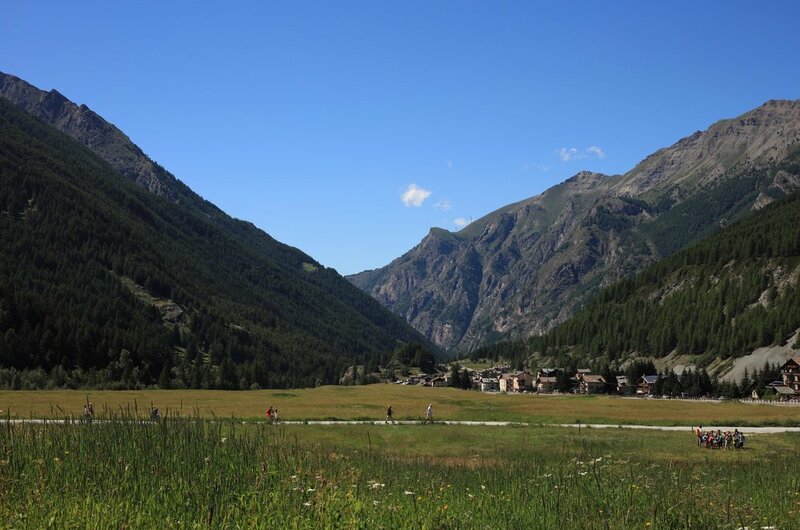 There are some destinations so remarkable that you believe you’ve found wonderland; which is probably why I felt a little like Dorothy reaching the Emerald City when I entered the village of Cogne high in the alpine wilderness of Italy’s Gran Paradiso National Park. Petunia-bedecked chalets, ibex grazing on wildflowers in an expansive meadow, the enthralling, snow-capped peaks of the Gran Paradiso Massif - this was a magical realm ripe for discovery. Feeling intrepid, I set off the next morning before the sun’s rays could bite - camera in hand - on a yellow brick road adventure of my own, using one of the myriad of mountain paths originally created for King Victor Emmanuel II’s hunting expeditions. These days, they form a network of summer hiking paths that criss-cross the mountainside, my chosen route taking me to Rifugio Vittorio Sella, high in the Gran Paradiso Massif. Despite the physical demands which saw me searching for lion-like courage on the relentlessly ascending track, the hike was exceptional. Cows grazed contentedly in mountain pastures, cowbells chiming as they ambled. Golden eagles soared above stands of European larch and French spruce while chamois frolicked in the shadows. Crumbling shepherds cottages were festooned in a coterie of wildflowers. Cascading waterfalls, perfect for ice-climbing in winter, cooled sapped legs. And at the end, reaching the refuge and its mass of welcoming picnic tables, I absorbed the phenomenal vista while sipping hot chocolate, remarkably tasty in the crisp mountain air. Turning back towards the valley, my new goal, I watched as shadows lengthened, colours softened and the mountains wore their evening veil - I’d imagine even a wizard couldn’t conjure such a scene. We visited Cogne as part of ourPathways book, exploring the Piemonte and Aosta Valley regions in our Italian chapter. You can learn more about the project, and order a copy of the book, by clicking here.